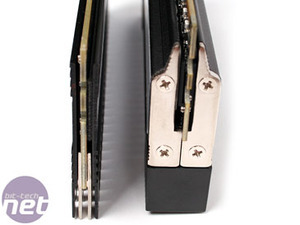 OCZ has really gone to town and come back with a bag of meat here - these heatsinks are some real chunky monkeys. We're surprised the box doesn't come with a testosterone fuelled slogan along the lines of, "We're OCZ and we make MANLY MEMORY! SPARTAAA!" 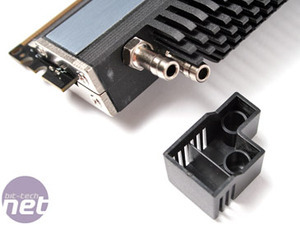 They not only dwarf Corsair's DHX heatsinks, but to place further emphasis on size they've had to be screwed on instead of relying on the usual Blue Peter sticky back tape. While there has to be something said for elegance and simplicity, we've got to admit there's certainly a placebo effect in having memory weigh as much as half a dozen normal sticks put together - it just feels faster. It's the same concept that "enthusiast" motherboards like Asus' Republic of Gamer or the Foxconn Black Ops series use. 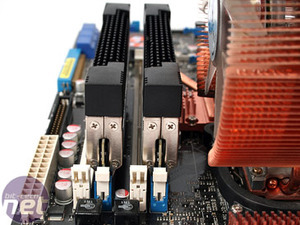 The downside of having memory the width of your thumb is that you cannot use the slots either side - no four DIMM action or even the ability to use quite a few AMD boards that requires DIMMs to be placed side by side. You have to be aware of what system you're using these in before you buy. The original FlexXLC didn't have this problem, but it also wasn't as wide or as serious about its cooling potential. 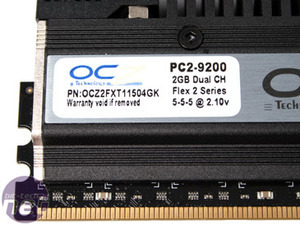 On one hand, since OCZ offers a huge range of DIMMs this shouldn't be a problem - you just choose something else like the Reaper-HPC or the (boring) Platinum series with XLC spreaders. 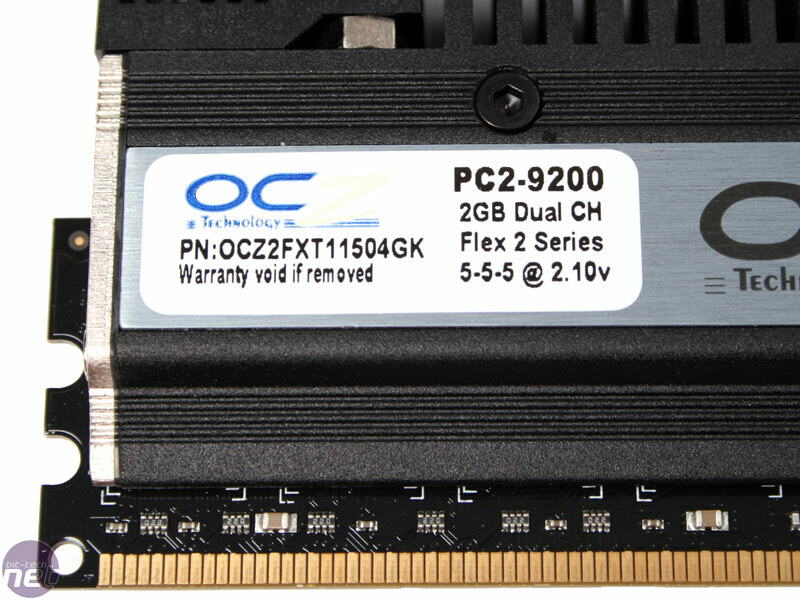 However, the 4GB kit of PC2-9200 is only available on Flex II - so if you want the best performance you have to pair it with your hardware carefully, or buy elsewhere. 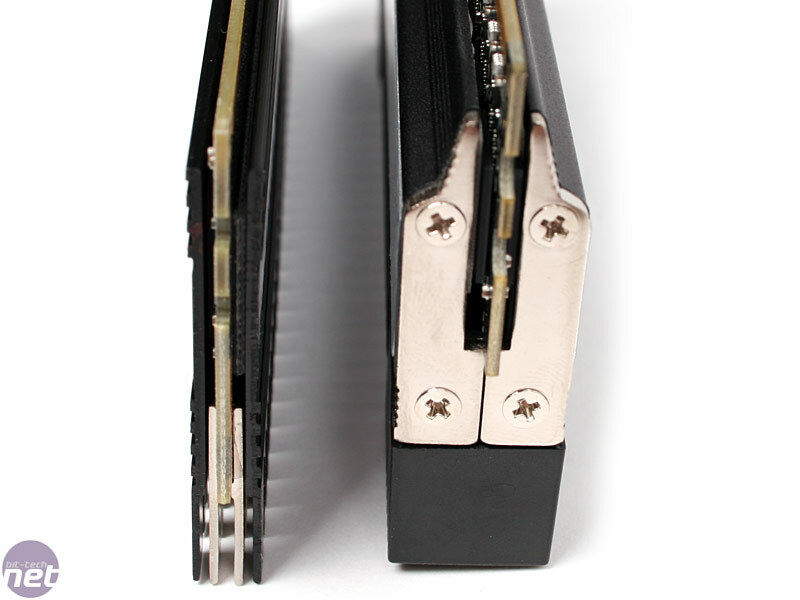 Another nice little touch is the matching black PCB with the heatsinks, which is also features the OCZ brand down the side. At the top, the watercooling barbs are hidden but some plastic caps to keep the dust out and also make the memory look flush in a case when you're not watercooling. 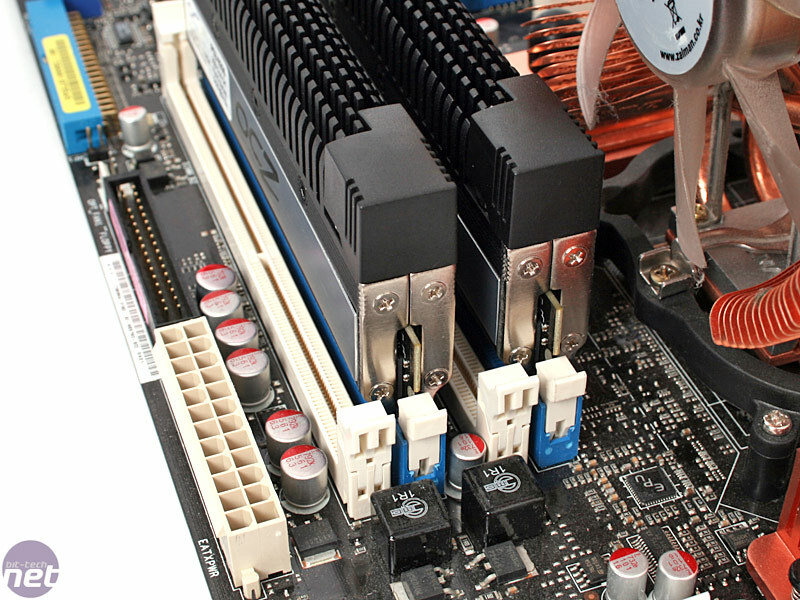 The extra height might be nice, but it also offers similar issues to the original FlexXLC, Reaper, Reaper-HPC and other tall DIMMs in that they can potentially conflict with a CPU heatsink. Again, planning your motherboard and heatsink purchase so that it's all compatible is something that you should be aware of. 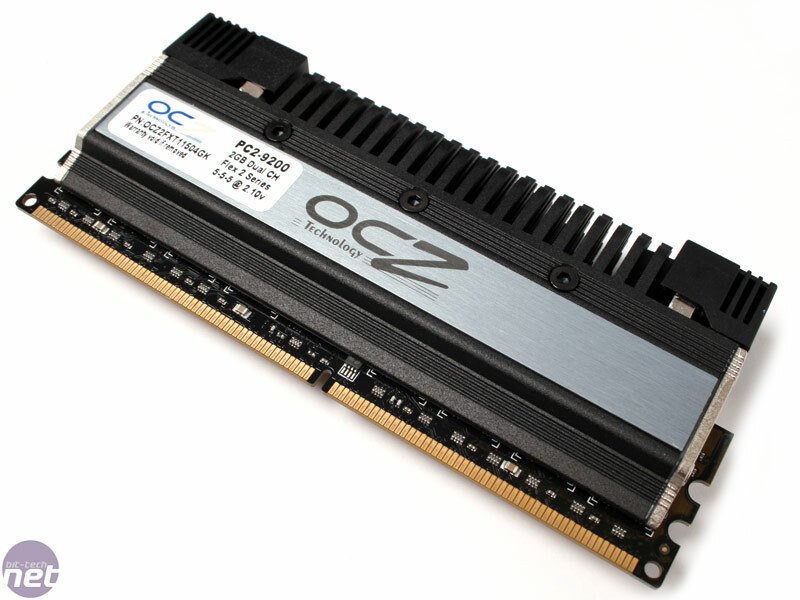 Memory manufacturer OCZ has announced a line of high-performance Extreme Memory Profile (XMP) SODIMMs for laptops that use the Core 2 Extreme processor.